I sure hope you’ve never suffered from a lot of pain. A lot of my good friends get chronic migraines, or back aches, or muscle and joint discomfort. It can range from mildly uncomfortable to totally incapacitating. It can wake them up at night and prevent them from enjoying their days. Is pain something that is interfering with your vibrant health or that of a loved one? Fortunately, Essential Oils for pain are great tools for helping to relieve or reduce pain, muscle spasms, and inflammation which make them great for those acute sports injuries as well as chronic conditions like arthritis and fibromyalgia. Nerve Repair™ – My gold standard in pain relief. It seems to work on everyone and work quickly. Nerve Repair assists in reducing inflammation, swelling, and cramps and helps to heal and repair damaged connective tissue. Formulated with oils like Helichrysum and Peppermint™ that are known for pain reliving properties, including muscle, joint and nerve pain. Helichrysm in particular has anti-inflammatory, antispasmodic and analgesic properties that helps provide near instantaneous relief from pain. Anti Inflammatory™ – This blend helps reduce inflammation and encourage regeneration of damaged or stressed connective tissues. It works well for both acute and chronically inflammation, including the small intestine for leaky gut, joints for pain, head for migraines or the bottom of the feet for acne. Formulated with oils like Frankincense™ known for its anti-inflammatory and sedative properties. Migraine Relief™ – Offers relief from inflammation and associated migraine pain. Formulated with oils like Lavender™, Chamomile and Peppermint™ that are known for their pain relief qualities. Lavender™ in particular has anti-inflammatory, anti-microbial and sedative properties and it helps to relieve muscle tension and spasms, joint pain and headaches. PMS Support™ – Alleviates pre-menstrual and menstrual discomforts including low back pain, cramps and bloating. Formulated with pain reducing oils like Clary sage, Sandalwood and Vetiver. Clary sage especially helps ease muscle tension, spasms and PMS pain. Sandalwood also relieves muscle spasms and helps sedate the nervous system to reduce nerve pain. Vetiver is a wonderful pain reliever for everything from general aches and pains to arthritis, muscular pain and headache. Digest™ – Helps relieve the pain of an upset stomach, indigestion, belching, bloating, food poisoning, heartburn and motion sickness. Formulated with oils known to reduce pain including Juniper that relieves nerve pain, joint and muscle aches and spasms and Ginger which can ease back pain and improve mobility. Adrenal™ – The muscles supporting much of the lower back are related to the adrenal glands and provide major support to the pelvis and lower back. When the adrenal glands are under more stress than they can handle, these muscles will directly be affected and the support to the lower back will be lost, leading to low back pain. Adrenal™ blend helps balance the adrenals and with them, the muscles supporting the low back. The formulation also includes key oils for pain such as Rosemary which is good for relieving back, muscle and joint pain and Thyme which is also an antispasmodic, good for joint, muscle and back pain. These oils can be topically applied, used during a massage or with a hot or cold compress, or added to a bath with Epsom salt. It is a good idea to add the oils to the Epsom salt first. 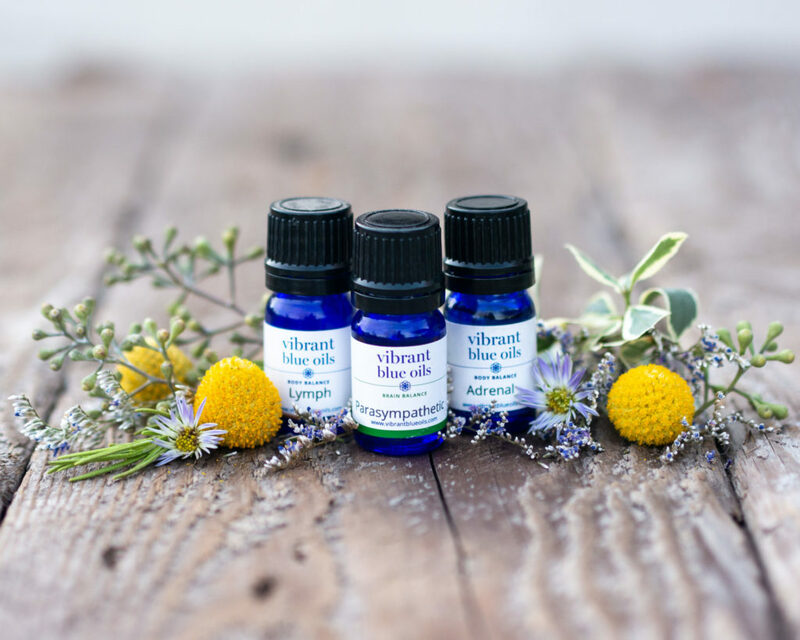 Jodi Sternoff Cohen is the founder of Vibrant Blue Oils. 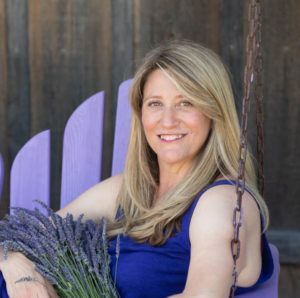 An author, speaker, nutritional therapist, and a leading international authority on essential oils, Jodi has helped over 50,000 individuals support their health with essential oils.